Keep in mind that minute and session packages never expire and that the unlimited monthly packages are for 30 consecutive days. 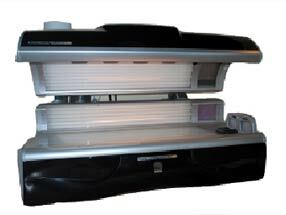 Totally Tan has the greatest tanning machine on the market, the Ultrabronz! The tantalizing 30 minute session offers high pressure bulbs and a self controlled climate. The Ultrabronz is a Level 5 bed which has an extremely low burning potential. 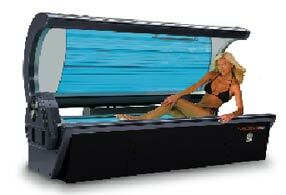 This bed has only 2/10ths of 1% UVB rays, which are rays that can cause burning. It takes most people about 5 sessions to achieve the golden tan they desire, and around 2 to 3 sessions a month to maintain that perfect tan. 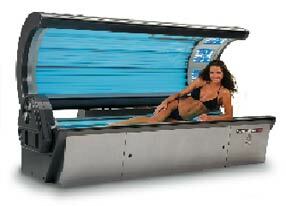 The Ultrabronz is sold by sessions, and introductory packages are available to first time users of the Level 5 beds. Memberships are available for the very best pricing--Click our Best Deal Tab. ALSO -If you renew your package before you run out you--- get 10% off your next Package!!! 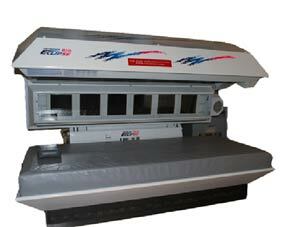 The P~90 is the other one of our level 5 beds that has extremely low burn potential. Less than 1% of the UVB ray. This bed is a sister bed to the ULTRABRONZ. The P-90 has a refreshing mist and this one's only a 12 Minute session with high pressure bulbs including it's shoulder tanners and facials! This bed is sold in sessions along with the Ultrabronz! Special Introductory pricing is available for your first time using the Level 5, as well as payment plans. ALSO, if you purchase another package before your current one is up then you'll receive 10% off another package. Packages for the Ultrabronz and P-90 interchange! The SUNSCAPES are offered at both of our locations! 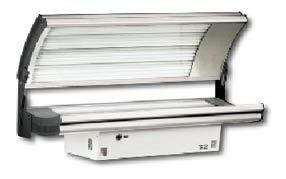 These Tanning units do it all! The SUNSCAPE bed will become your 10 minute escape! Our premiere level 4 beds are top notch above all the competitions. 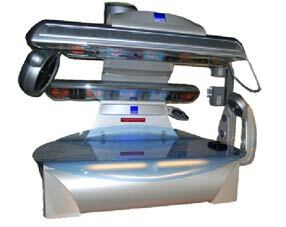 With High Pressure facial and neck tanners -- plus shoulder, and side tanners this bed really does do it all!! We also offer the Standup SUNSCAPE. It's ONLY 8 Minutes. It's very powerful and definitely a quick and easy tan! We provide you with many options in tanning at this level! Our trained professionals can help you decide what is best for you, minute packages or the unlimited monthly. The SOLARFORCE! 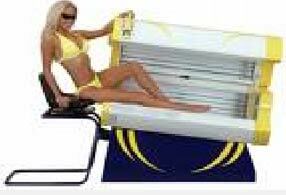 This bed will not only FORCE you to relax but will give you solar powered tan! Included in this will be High Pressure facials and shoulder tanners! Along with side tanners at a wattage that just makes your melanin pop out! The Stand-up design of the level 3 is offered at the Tulsa Salon only. This booth offers very high output and whirlwind air! The Stand-up reaches all of those hard to tan areas. All level 3 packages can be used for lay-down and stand-up beds. This bed can give you the ALL OVER tan you have always desired. The SOLARIS! This Sun Powered Machine will take your stress away! This 15 minute session is just enough for that sunkissed look! We also have many different ways to purchase tans in this level! The Level 1 is a High Performance bed designed with twice the power of a 20 minute bed, for a quick 10 minute escape! The Level 1 bed at Broken Arrow is our entry Level. This bed has 36 Bronzing Bulbs and is an astonishing 20 minute session! Our Level one will turn your life around! Just 20 Minutes in here is sure to melt away your cares! The newest addition to both Salon's is the Leg Tanner! The most intelligent design since the tanning bed itself. This bed will help you get those darn legs to tan! Equipped with UV technology and style this baby will get you a double dose of happiness! The Leg Tanner is just a quick 12 minute session. Students take $10.00 off the Unlimited Monthly Price.